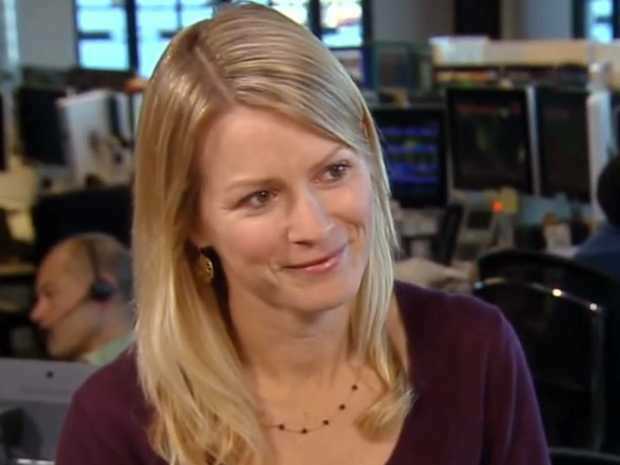 Twitter’s former media head Katie Jacobs Stanton is becoming the latest tech executive to sign on to a health-tech startup. For $249, Colour Genomics wants to tell you if you have the genetic mutations that could predispose you to certain types of cancer. The cost is key to Colour’s mission of making the test more accessible than some other genetics tests that still costs thousands of dollars. Stanton left Twitter in January after more than five years. She’s been an investor in the company for a few years is joining Colour Genomics as its chief marketing officer. She’s been helping out the company part-time, but decided to go full-time starting in August. What made her join was in part the mission of the company, as well as personal connections cancer through friends and family members. Colour launched its test in April 2015 and now offers an updated test that looks at 30 genetic markers, or parts of our DNA that have been linked to certain conditions. These genes are linked with a higher risk of developing, breast, ovarian, colorectal, melanoma, uterine, pancreatic, prostate, and stomach cancer. Stanton’s work will encompass communications, partnerships (including those with hospitals and clinics), as well as leading the charge toward an initiative to provide free tests to 100,000 men and women who wouldn’t otherwise have access to these tests. Call your doctor. Because it gives out some serious medical information, Colour requires that you have a physician involved. If you don’t want to include your own doctor, Colour will link you with an independent physician who’ll evaluate your information and assign you a test — if they decide it’s the right move. Either way, you or your doctor can order the test directly through Colour’s website. After registering online, you’ll get a testing kit in the mail. Collect your spit, like you would with many other genetics tests. It might feel a bit awkward. Send in your spit for Colour to analyse. They will return the results to you and your doctor. Still want to learn more? Colour provides a free genetics counselor to discuss your results further as part of its process if you’re so inclined. Knowing what mutations you have is a key part of understanding your genetic risk of certain types of cancer, a highly complex science that researchers are still teasing out. Other lifestyle factors, like how often you exercise and what you eat, play a role too, but tests like those Colour offers look specifically at your genetic risks. For example, the risk of getting breast cancer goes from 7% to an average of 55-65% when you have the BRCA1 or 2 gene mutation. Knowing you have one of these genetic tweaks, then, could ostensibly help you make more proactive decisions, like getting more frequent cancer screenings or eating healthier.